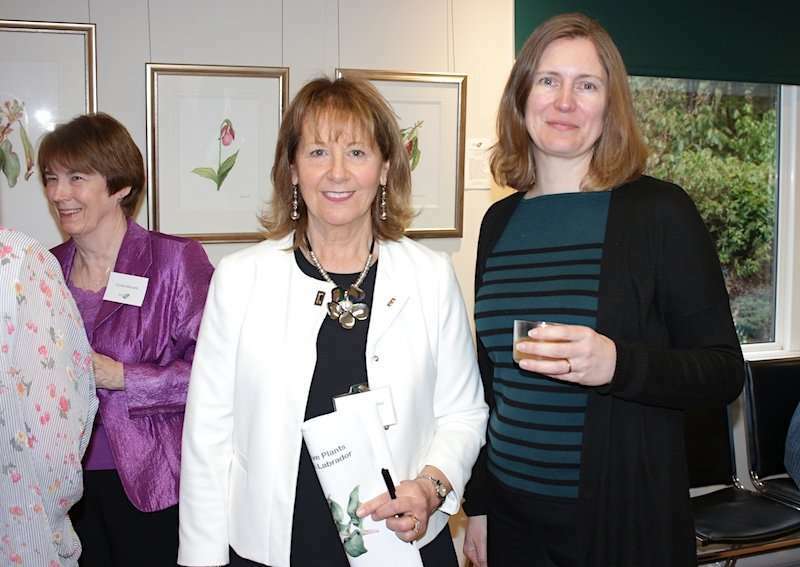 Our May 3rd opening night reception of "Rooted in Art: Native Plants of Newfoundland & Labrador" was a great success! 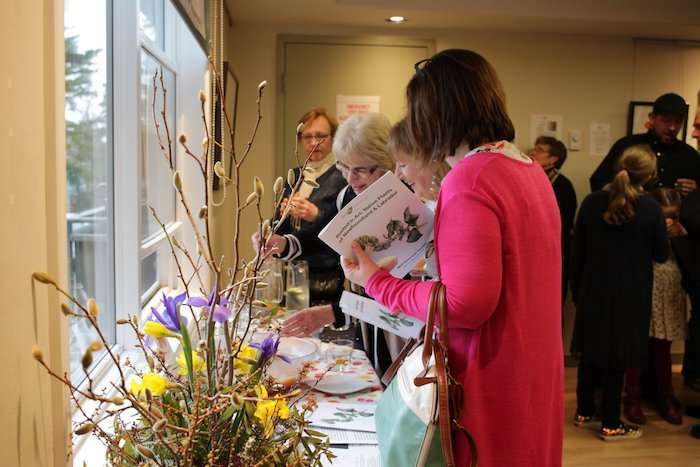 While the weather was cool and damp, the enthusiasm of the crowd was evident as the room quickly filled with people excited to see the first official exhibition of the newly formed Botanical Art Society of Newfoundland and Labrador(BASNL). 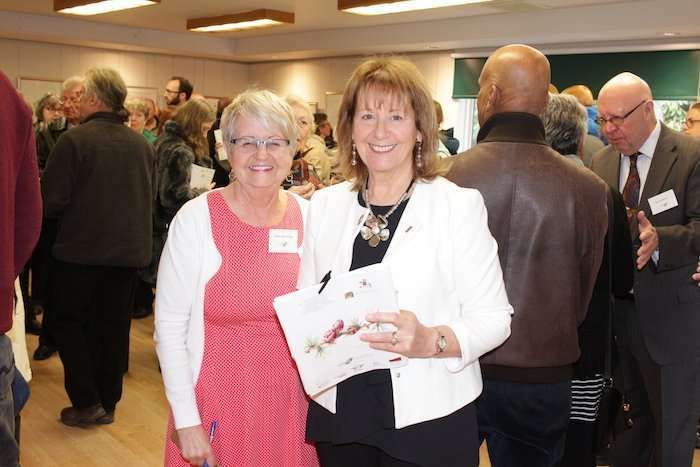 The exhibition was opened by Kim Shipp, Director of MUN Botanical Garden with emcee Eileen Bragg, BASNL Vice President. Our president, Margaret Walsh Best, introduced our society to the group and provided some background about our organization to the exhibition viewers/general public in attendance. Margaret's full message can be found here. 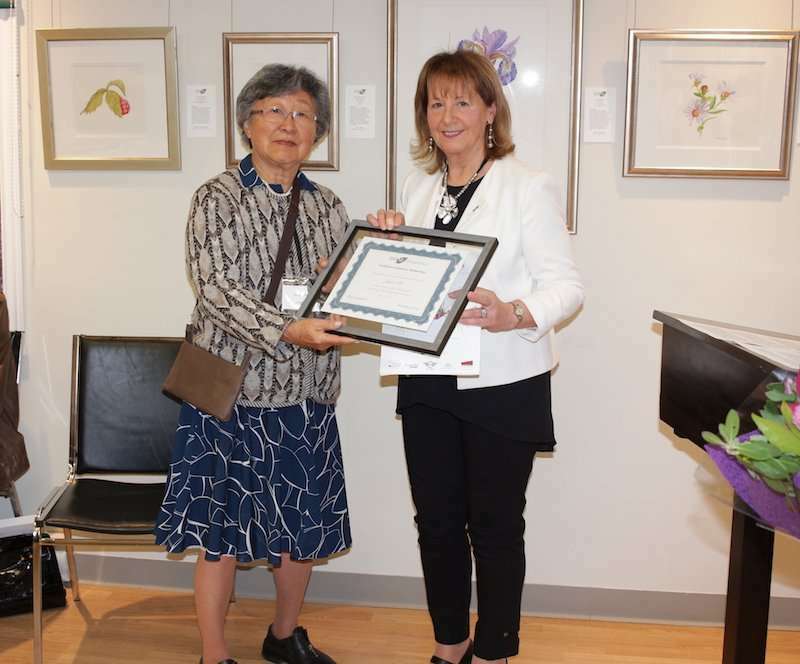 As well, Margaret introduced Joyce Cho and spoke of her achievements to everyone before Joyce was presented with an Honorary Lifetime Membership into the BASNL. 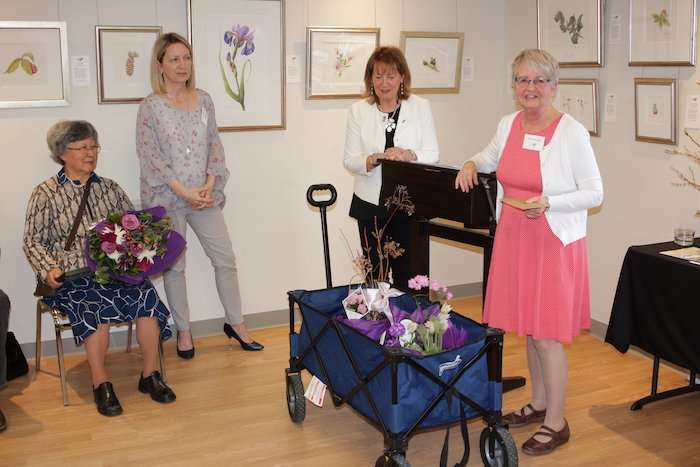 Joyce has had an exciting career in botanical art and our members are proud to recognize her and her commitment to the practise and promotion of botanical art. Full details can be found here. For those of you who weren’t able to make it (and for those who did make it), we invite you to our Open Day on Friday, May 18. 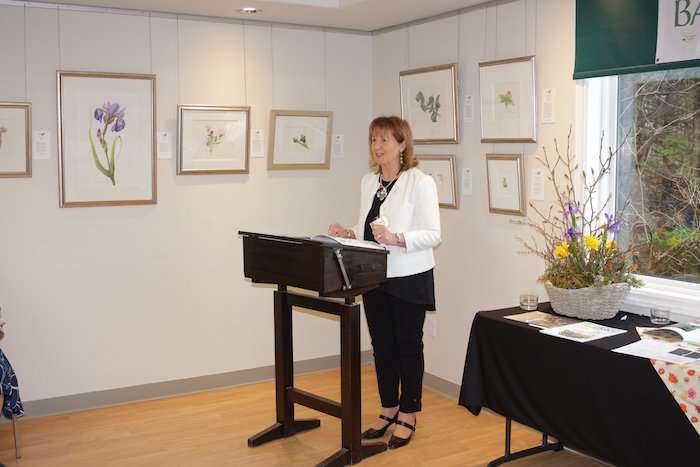 On this day, we will celebrate our own exhibition, our participation in the Canada-wide Art of the Plant and of course, the Worldwide Botanical Art Exhibition. Our exhibit continues until May 31st at MUN Botanical Garden. Twenty artists are participating with nearly 40 pieces of artwork displayed. Full event programming can be found here. The public is invited to vote for the painting they admire most as a Peoples Choice Award will be awarded after the end of the exhibit. This award of a $150 Gift Certificate has been generously donated by Murray's Garden Centre. There is a ballot box in the exhibit room for you to vote!